The farmer’s club of Lamhai village was formed by the RBA (Rongmei Baptist Association) in September 2004. But due to some reasons the farmer’s club was lost in function. However with the initiative of FARM project, the farmer’s club was once again revived in 2013 and registered with NABARD. Now, the farmer’s club of Lamhai village has become one of the best farmer’s clubs in the project. Farmer’s Club in Lamhai village initiated plantation of 3000 trees in their waste land. A huge community’s land was left without any utilization. On 20th December 2014, the members of farmer’s club came together to discussed the possibility of utilizing the waste land of the community. One of the members of the farmer’s club suggested the plantation of trees on the waste land. Others agreed upon the suggestion and had passed the resolution for the plantation of trees on the waste land. They also decided that the tree which is fast growing and good for the furniture which will also served as good resources for the generation to come. As per the resolution, the farmer’s club members approached to the village authority on 22nd December 2014 and shared the ideas with the village chairman. The Chairman of the village council was very happy and had given his consent to go ahead with their plans. On 7th January 2015, the farmer’s club members cleared 12 acres of waste land for the plantation. 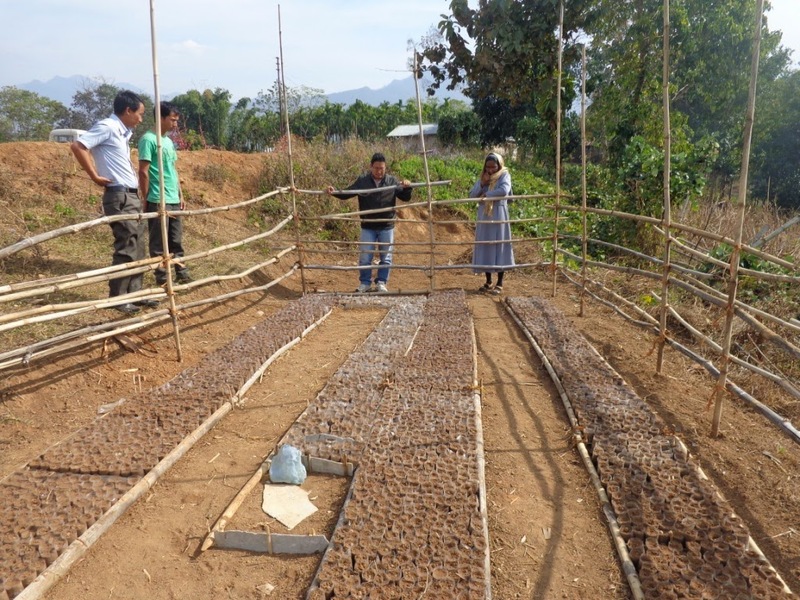 Five farmers member have also volunteered to prepare nursery bed for the saplings. On 10th January 2015, they have prepared 3000 nursery beds for the plantation. They said, “We will not approach to the Govt. but we will do it by ourselves and we hope that other farmers will also join us slowly in future”. The farmers’ group have also resolved to seek the reservation of farmer’s seats in the village council. The farmer’s group have also decided to nominate their chief coordinator to represent the farmers group in the village council in the upcoming election. The farmer’s group in Lamhai village is strong and functioning well.